Join Robb Cox and Warrick Nicolson as they review Cronulla's 21-20 win over Penrith and South Sydney's 13-12 win over St George Illawarra in the 2018 Elimination Semi Finals. 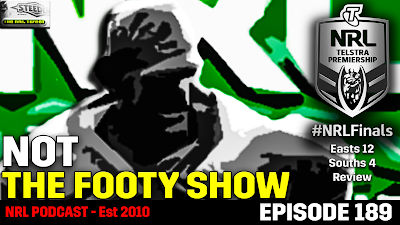 Plus we are drawn back into what is the bigger brand-damaging deal for the NRL when it comes to off-field scandals in the wake of South Sydney's latest video review session...? Also please jump onto iTunes and give us a review - because if we get a few this week you'll almost certainly get another Podcast next week. 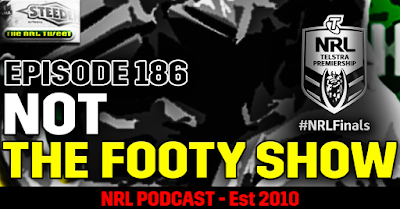 Join Robb Cox and Warrick Nicolson for their 2018 NRL Finals Week 1 Preview Podcast. 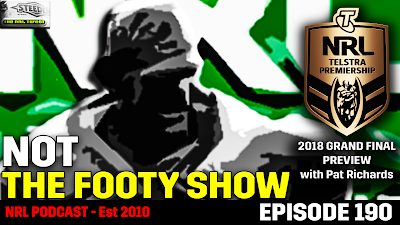 We pick winners in all four NRL Finals matches, pay tribute to the retiring Johnathan Thurston and the late Lance Thompson, dissect the NRL sanctions on Canterbury after Mad Monday and find out how Coxsmith got punted from the infamous Whatsapp group.